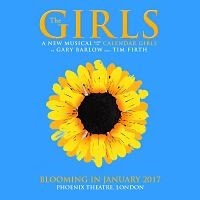 Musical Theatre News: Gary Barlow's The Girls offering free Dress Rehearsal tickets to NHS nurses. Gary Barlow's The Girls offering free Dress Rehearsal tickets to NHS nurses. They have to show their NHS ID card to pick up tickets in person at the Phoenix Theatre box office when it opens at 10:00 am prior to the musical’s first preview that night.